When I encouraged you guys to jump on the bulletproof coffee bandwagon nearly a year ago, you probably thought "wait...what? Butter in my coffee? This lady is crazy." But then curiosity gave in, you tried it, and you were HOOKED. I'm about to ask you to make another tiny leap and add coffee grounds to your homemade sugar scrub. Before you pitch a fit about wasting good coffee, please know that what you put ON your body is just as important as what you put IN it. As I see it, if it's good enough for my belly, it's should be good enough for my skin. 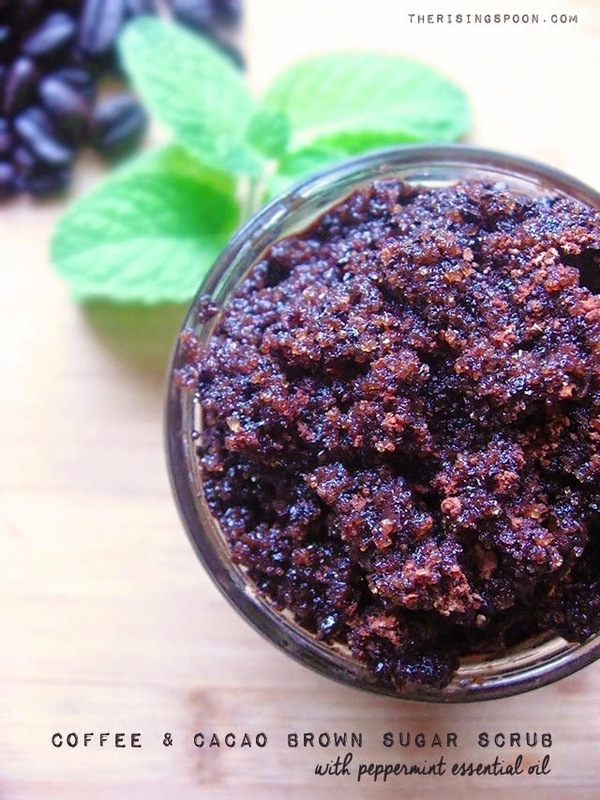 So Why Add Coffee to Your Homemade Body Scrubs? Firstly, it smells ah-mazing. I can't think of a single person who dislikes the aroma of fresh ground coffee beans and brewed coffee. Even if you're one of those poor folk who can't handle the caffeine in coffee or find it too bitter, you can still enjoy the smell. Secondly, I've read in about a thousand health and beauty magazines that the caffeine in ground coffee beans is supposed to improve circulation in the skin. I could go digging for a study to back that up, but I'd need more coffee for that. Like I said, reason number one is good enough for me. Thirdly, it's invigorating and stimulating, especially when combined with peppermint essential oil. 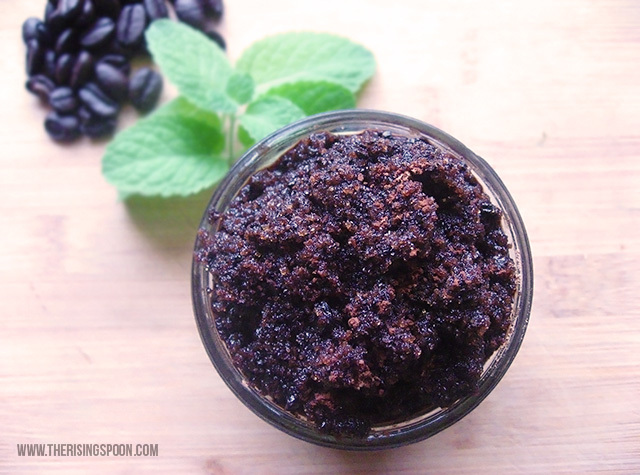 If you're feeling groggy in the morning and need to exfoliate, skip the cold shower and use this sugar scrub instead! 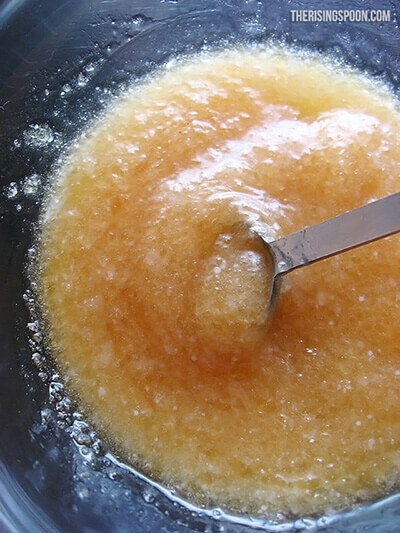 Why Make Your Own Homemade Sugar Scrub? Homemade body scrubs and face scrubs made with either sugar or sea salt are excellent at gently exfoliating (i.e. stripping away dead skin) and moisturizing the skin. With only a few simple ingredients from your kitchen, you can craft a sugar scrub that will keep your skin smooth and soft. 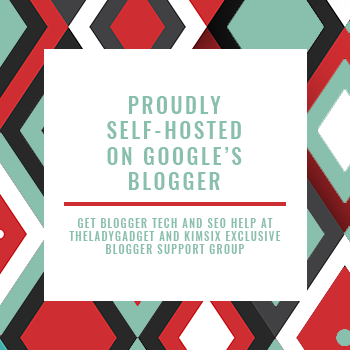 Making sugar scrubs at home also costs much less than buying department store exfoliating scrubs that contain unpronounceable ingredients and synthetic fragrances. And since you only need to exfoliate one a week (twice max), you can whip up a small batch whenever you like. 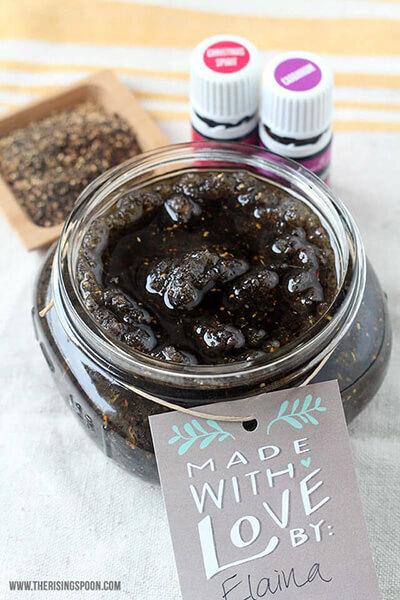 I've been making and gifting homemade sugar scrubs for the past few years. My family and friends love them (or so they tell me). I used to sell them in my Etsy shop, but since I shipped them in glass mason jars, that turned out to be a huge hassle. I figured it was better to share my sugar scrub recipes here, so I could work on convincing the non-crafty types that they're worth making. After all, they only take two minutes (or less) to whip up. And it truly fills me with joy to help others become more self-sufficient, even in the tiniest of tasks. 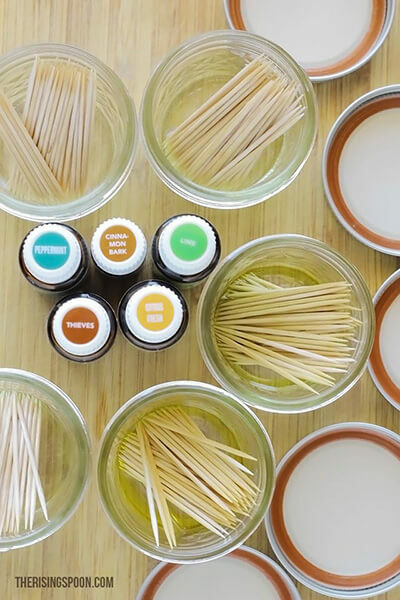 These are a great option for gifts because the basic recipe can be easily adapted to the scent preferences of guys or gals. Coffee and peppermint is a refreshing and invigorating combo that everyone can enjoy. I prefer to use essential oils as a natural fragrance in my homemade bath and body products because they have a longer shelf life than fresh ingredients like fruit peels or herbs; however, if you don't mind to fixing a small batch and keeping it in the fridge, fresh peppermint is a wonderful option in this recipe. If you intend to use essential oils in DIY recipes that you're applying to the skin, please make sure to carefully read the label first. If it has a warning that says "not for topical use" or "for aromatherapy only" DO NOT put it on your skin! Better safe than sorry. 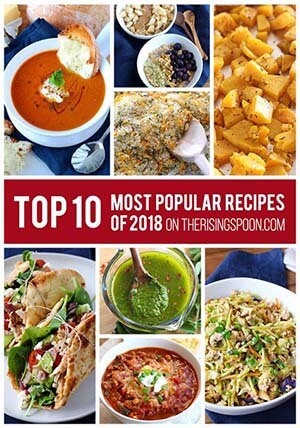 Just leave them out or use fresh ingredients instead. A simple homemade sugar scrub recipe that you can use on your hands, body & face for softer, glowing skin that's super moisturized. Even better, it won't clog pores and is completely non-toxic! Put it in a glass mason jar for a lovely homemade gift all year long. *If you don't have any of the above oils on hand and want to give this a trial run, use olive oil or sweet almond oil instead. However, I DO NOT recommend using vegetable oils like canola or soy! Slowly stir in the oil, making sure it saturates all the sugar. I like to add extra oil so there's plenty of it when I exfoliate. Measure & stir in the ground coffee and cacao powder. Lastly stir in the peppermint essential oil, adjusting the amount so it's as strong as you like. Store in an air-tight container and use within a few months. To keep it fresh longer, avoid sticking your hand directly into the container while in the shower. We don't want water lingering in the mix. A wooden (or regular) spoon works well for scooping out the body scrub. Do you like to exfoliate? 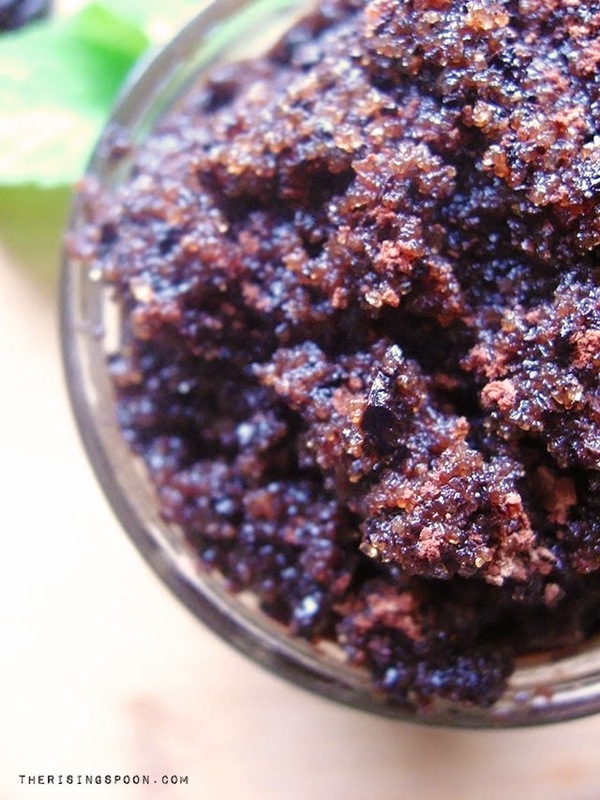 What are your favorite ingredients to add to homemade sugar or salt scrubs? Leave a comment below!